The special half-off sale for enhancing your trading foundation ends at midnight *tonight*. takes to be a more confident trader. Try My System For 50% Off And Get FOUR Free Bonuses! free gifts will surely do the trick. I call this the R Legacy collection (eg. for R version 2.14) with source code! 50%, then go here now. This entry was posted in Premium Membership and tagged foundation, last day, Success, trading on May 12, 2017 by caustic. To make sure I read the graph correctly, most daily returns seem to be around 0.1% to 0.2% range with some outliers above 0.4%. Assuming low 0.1% and high 0.4%, that means I can expect annual return of 36% (0.1% * 30 * 12) on the low end and 144% (0.4% * 30 * 12) on the high end. Is that correct? This entry was posted in Quant Development and tagged Quantopian, Story, Success on December 20, 2016 by caustic. This entry was posted in Stock News and Tips, Trading and tagged Blueprint, Success, trading, video on October 21, 2016 by caustic. Ray Dalio is considered one of the geniuses in the hedge fund field. Also, remember he is a mathematician who knows how to work the markets when it comes to his forecasting. It is important to remember that versus the usual retail trading “gurus” I have been highlighting lately. Advanced math and programming is the REAL key in today’s modern markets. Just remember your trading needs to be focused on fundamental analysis since the markets worked that way for decades before electronic trading came along. People with fancy degrees seem to forget that. 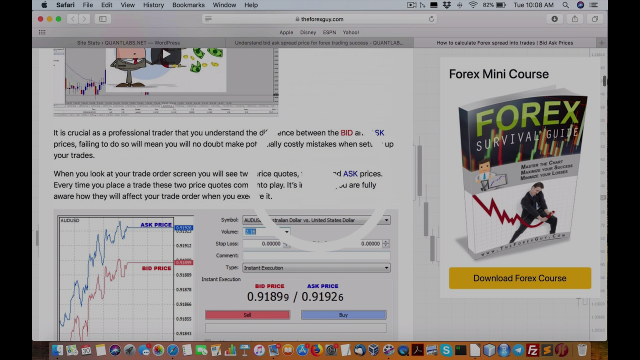 This video will show you the impact of using a economy’s M2 money supply affect currency pairs. I will provide this LIVE lesson only the one time but you do need to watch the required video to understand this discussion. You will not want to miss it!! As a result, you need to get signed up as soon as possible. This entry was posted in Uncategorized and tagged hedge funds, Life/Work, Ray Dalio, Success on September 2, 2016 by caustic.